Mozart was her teacher, her mentor, her rescuer--and, finally, fatally, her lover. ..
At dawn, in the marble palace of a Prince, a nine-year-old sings for Wolfgang Amadeus Mozart, then at the peak of his career. Always delighted by musical children, he accepts Nanina as a pupil. Gifted, intense and imaginative, she sees the great "Kapellmeister Mozart" as an avatar of Orpheus and her own, personal divinity. During the composer's last summer, his wife has left him. Chronically in debt and suffering the emotional isolation of genius, he takes refuge with his disreputable Volksoper friends, who want him to write a "peasant opera" for their audience. Nanina, now grown, and still in love with Mozart, is among their number. As he seeks solace among the women of the Volksoper, the charms of his young fan become increasingly alluring. No one, least of all the composer, understands the depth of her obsession or how a brief affair will permanently alter her life. 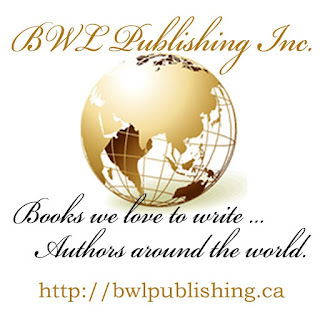 And do check back to learn all about BWL author Cheryl Wright's marvelous books on January 29th! Juliet Waldron’s blurb will appear on Sunday 27th January. We hope you will come back and check it out. 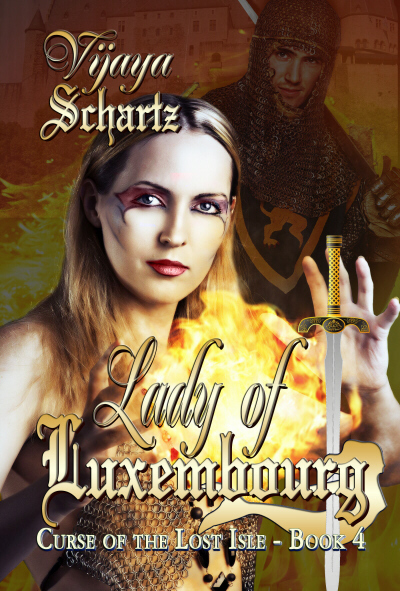 LADY OF LUXEMBOURG, Book 4 of the Curse of the Lost Isle medieval series, now has a cover. It's a romantic story involving magic and a family of immortal Pagan ladies, seeking redemption from a curse. 978 AD - Melusine the Fae, immortal and cursed Lady of Luxembourg, managed to hide her Pagan nature from mortals for many years. She fiercely protects her handsome Count, Sigefroi, but in their princely bliss, neither of them seems to age, and a few suspicious bishops take notice. Then an ondine wreaks havoc during a battle, luring enemy soldiers into the river. The novel is coming out in kindle within a few days. In the meantime, you can read the first three novels in the series. Find them on Amazon HERE The Special Edition includes the first three novels in one download. At Books We Love we LOVE our newsletter subscribers. This month, three lucky subscribers are going to win the three prizes pictured. One Chocolate Tower and one Godiva Tower. We're also giving away a sweet bundle of five romance ebooks. That's all you have to do, simply be a subscriber! Everyone on the mailing list will have the chance to win the ebook or Spice ebook of their choice each week through Feb. 14. Watch our blog on the next five Wednesdays for the winner's names to be posted. Contest running now through Feb. 14, 2013. Winners announced in the Feb. 15 newsletter. Subscribe here Our newsletter comes out once a month and we'll never use your email address for any other purpose. Thanks for supporting Books We Love and Happy Valentine's Day! Blurb: April Heatherton, history teacher and volunteer firefighter, is determined to protect the land she holds dear, particularly the grave of an unknown pioneer woman who once trekked the Oregon Trail. Proposed logging operations are encroaching, and April soon finds herself organizing a local task force to try to stop them. Yet when April meets handsome Matt Spencer, son of the owner of Johnson Brothers Logging Company, she much reckon with her escalating attraction to him. Matt, one of a growing breed of displaced loggers, is also determined to fight for his beliefs - the right to make an honest living harvesting the timber. Can April and Matt overcome their differences? Or will their convictions forever keep them apart? Sydell Voeller grew up in Washington State, but has lived in Oregon for over thirty years. Throughout her twenty-year writing career, her published novels for teens and adults have reflected her love for the Pacific Northwest's ocean beaches, inlets and waterways, evergreen forests, and mountains. Sydell resides in Oregon with her husband. They married in 1972 and have two grown sons. Pet lovers, the Voellers have provided a home for several cats, a dog, gerbils, hamsters, and a turtle--but not all at the same time! A small rodent cemetery still occupies one corner of their backyard. She and her husband enjoy camping, reading, playing Scrabble, day trips to the Oregon coast, and spending time with their grandchildren and pampered feline. When Sydell isn't writing, she enjoys camping, walking, amateur astronomy, reading, and surfing the web. In 1987 after the publication of her first novel, she was named by the Washington County Mushaw Center, Woman of the Year in Communications. With loving strokes, April Heatherton brushed aside sun-parched fir needles from the old grave stone. Then she placed on it a bouquet of velvety pealed gold-brown daisies. Her mason jar made a perfect vase. She stared down at the flat, three-cornered rock surrounded by white stakes and a simple cross made of mossy sticks. Dappled sunlight flickered through the towering Douglas Firs as the July breeze whispered overhead. Suddenly the rustling of footsteps close by startled her. “Man alive! Look at those firs. They’ll give us at least twice the board feet we got up north,” a husky voice proclaimed. Heather’s stomach dropped. Loggers...undoubtedly the ones from the neighboring town of Silton Pass nestled deep in the foothills of western Oregon. Most everyone in Wolf Hollow had heard the loggers would soon be clear-cutting the entire forest that blanketed North Creek Hill. The pit in her stomach grew deeper as realization took hold: her beloved hideaway—the unmarked pioneer grave—was alarmingly at risk. Why, in possibly only a matter of mere weeks, one more tract of forest would lay in shambles, downed timber scattered like pickup sticks, the hillside carelessly gouged and barren! Instinctively she drew back into the shadows, hoping the undergrowth would hide her. She would confront the loggers, but not yet, not until she’d had a chance to hear more of what they were saying. Orion, her Golden retriever, emitted a low throaty growl. “No, boy!” she commanded in a hoarse whisper, gripping the dog’s leather collar in an effort to keep him close by her side. Though the aging dog was nearly deaf, he hadn’t lost his keen sense of smell. April peered cautiously around the side of a stump, scarcely daring to breath. She caught sight of two men squinting up at the mammoth evergreens. The younger man, in his late twenties, she guessed, ran his hand through wheat- colored hair, pushing back an unruly lock from his forehead. He was clean shaven. His black T-shirt, cuffed at the sleeves, exposed his taunt, masculine biceps. “Yeah, what a loggin’ show,” he was saying. His voice was mellow, not at all gruff like his partner’s. With that the two turned and began sauntering away. “Wait! Stop! Destroying the forests is wrong!” April couldn’t contain herself any longer. Her voice was filled with desperation as she quickly clipped Orion’s leash to his collar, then started running after the men. April flinched at the sound of the all-too-familiar term, a name many of the locals had tagged the environmentalists. Orion growled again. “Don’t call me a bunny-hugger!” she said hotly, new determination fueling her on. “I’m merely taking a stand! The timber here on North Creek Hill is one of the last old-growth forests in the entire coast range. In no time our ancient forests will be gone. And most of all, there’s the. . .” She broke off abruptly, her sentence remained unfinished as she gestured helplessly back at the grave site, well out of view. How could she make them understand? They’d only accuse her of exaggerated female sentiment. “Yes, but it’s high time to start thinking about our future and our vanishing natural resources!” She drew in a ragged breath. The issues were complicated and double-sided, and April knew there were no easy answers. After all, the loggers were only doing what many of their fathers had done, and perhaps their father’s fathers. She felt her cheeks flush with indignation as she turned to leave. Bunny-huggers indeed! Who had ever come up with such a stupid comparison? Well, one thing she knew for sure. She must—no matter what—protect the unmarked grave of the pioneer woman and the beauty of the surrounding woodland. These 100 acres of Ramult County forest bordered the land where her grandparents had built a home and planted a filbert orchard nearly a half century earlier. After April’s parents were killed in a motorcycle accident when she was two, her grandparents raised her. Years later, April came to inherit the two-story clapboard house and surrounding property. Ever since she’d been a small child, April loved to steal away farther into the woods on North Creek Hill to her own special retreat, a place where she was free to day-dream, write poetry, and muse about nothing in particular. Some of her friends had had their tree houses. Others found their special places in musty old attics. But every chance possible, April always returned to the pioneer woman’s grave. In summertime, she’d bring bouquets of wild flowers from the neighboring meadow. In early autumn, she would gather succulent golden chanterelle mushrooms that grew in the cool, mossy shade. Come winter, usually empty-handed, she’d brush away the brown parched leaves from the grave site, much as she’d just whisked away the sweetly scented fir needles. Often Grandmother would accompany April there and tell her stories about the forests and animals, plus the settlers who had journeyed on the Oregon Trail. Gram had always held fast to a solemn reverence for the natural earth and her belief in a simple way of life. As April grew to be a young woman, she pursued her teaching career, with a double major in biology and American history. What better way to pass on the ideals that bonded the past and the present, she’d decided. What better way to honor everything the unknown pioneer woman exemplified. April turned and began trudging towards home while Orion trotted close by her side. A blue jay shrieked, sassing a crow. Breathing in the woodsy smells, she felt the tension flow from her body. She glanced at the sun as it slanted over the crest of the hill. Shadows were falling, making the dense slopes appear even darker. A bluish haze hung over them. Truly the most peaceful place on the entire earth, she thought dreamily. At the beginning of the summer, shortly after her twenty-sixth birthday, April had successfully completed her volunteer firefighter’s training and claimed the distinction of being the fifth woman in the history of Wolf Hollow to have done so. Her best friend, Donna Walgren, had been the first. April quickened her pace, then came to the first fork in the trail. The firs gave way to sparse groves of madronnas, then the open meadow. The late afternoon sun sweltered unmercifully now, and perspiration ran down her face in rivulets. Pausing to lift her long auburn hair, she allowed the faint breeze to fan her neck and face. She heard the babbling of North Creek, about fifty feet away, at the same time thinking that the sound should be much noisier, not a mere babble. The water levels in local creeks and streams had dropped significantly due to the recent near-drought conditions. Oh, if only it would rain, she thought. The rains of fall and winter typically kept the western Oregon forests lush and green. In the distance the drone of a helicopter grew louder, drowning out the sounds of the creek. 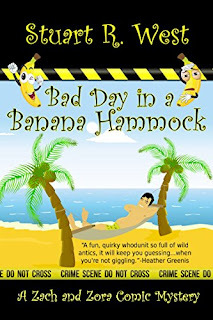 She jerked her head back, shading her eyes with her hand while the copter hovered like a giant mosquito above the treetops. Fresh fear sprang inside of her. The whirlybird! The helicopter the loggers had been talking about! Yes, it was definitely going to happen: soon they’d be clear-cutting North Creek Hill. With a whir of silvery blades, the copter lowered momentarily, long enough for her to read the inscription on its side. Johnson Brothers Logging. Then, almost as quickly as it had appeared, the copter lifted and vanished over the next rise. The ringing of the April’s cell phone interrupted her reading. After a longer-than-usual fire drill and a refreshing bubble bath, she’d curled up in her favorite chair to relax with the book she was reading from her e-book reader. The phone rang again and glancing at the display screen, she hit the “send” key. It was nearly eleven. Who could be calling at this hour? “I hope I didn’t wake you,” a lively voice spoke. Immediately April recognized the caller to be Donna. “No, not at all. I was just reading a sci fi novel and trying to wind down.” She paused. “That was some killer fire drill tonight, wasn’t it?” The firefighters had practiced on a condemned shack on the northwest side of town, and the battle to contain it had indeed posed a challenge. Both women taught at Wolf Hollow High School where they had also graduated eight years earlier. For April the balance of vocation with avocation seemed the perfect answer to a well-ordered life, especially during her desperate attempts to heal from a broken romance the previous summer. “There’s something else too,” her friend cut in. If we spend the best part of Saturday milling about the logging festival, we might be able to do a little detective work as to what’s going to happen on North Creek Hill. I’m sure it’ll be a hot topic there.” Donna lived on the outskirts of town, and shared April’s concern about the local environmental issues. “I don’t need any more handsome men in my life. Men only cause trouble. Especially men like Eric.” April gripped the phone more tightly as visions of Eric Mendelson paraded through her mind. She’d met him a little over one year ago while she was enrolled in graduate classes at the university about an hour’s drive away. Eric, who’d taken a three-month leave from Arrowtek, a successful computer company, met her every afternoon in the student commons to study together over double lattes. His suave good looks, dry sense of humor, and preoccupation with details had fascinated April from the first moment they’d met. In no time, she’d fallen hopelessly in love with Eric—only to soon learn her love would go unrequited. The sound of Donna speaking jerked April’s attention back. “Maybe you think that about men, but I don’t agree,” she was saying. April’s focus was right on target now. “Just because you’re sporting the half-carat diamond engagement ring Travis gave at Christmastime, doesn’t mean romance is the answer for everyone,” she insisted. Something in Donna’s tone told April that her friend was only placating her. “Hurry, April! The show’s almost begun,” Donna shouted over her shoulder. April sprinted to keep up. “Wait! I’m coming.” Together the two women pushed their way through the crush of people pressing towards the ticket gate. From the edge of the parking lot where the carnival rides were set up, organ grinder music pulsed through the speakers. “Let’s shoot for front row seats,” Donna said after April had caught up. She dug into her fanny pack for her wallet while April did the same. Minutes later they ascended the bleachers that overlooked a man-made lake and sat down next to a lady who was munching popcorn. “Ah! We made it!” April exclaimed, scanning the quickly filling seats. Settling back, her thoughts drifted to their drive to Silton Pass. Donna had suggested they take her new white Accord and follow the scenic route that paralleled the busy interstate. They’d wended their way past old railroad trestles that bridged tree-carpeted ravines, the millpond jammed with floating logs, and sparkling Lost Lake nestled at the base of the foothills. Finally they arrived at the sprawling city park where the carnival was in full swing. April gazed about at the other spectators, taking in their excited chatter, their smiles of anticipation. Parents with toddlers, grade school children, and teenagers lined the bleachers. White-haired senior citizens looked on expectantly. April recognized several of the folks and as her gaze met theirs, she exchanged friendly hellos. Some were former students, the others merchants and neighbors at Wolf Hollow. Yes, without a doubt, the lighthearted ambiance was infectious, she decided. Maybe Donna had been right about her needing this day. The rippling of applause interrupted her thoughts as the mayor of Silton Pass took his place on a small, portable platform. Welcoming the crowd, he delivered a brief history of the timber carnival. Then he introduced a middle-aged man by the name of Harvey Rawlings. After giving a few more words of welcome, the man reached for a shiny rifle. With a sweep of his arm, he aimed the muzzle at a tall fir that stretched up from the lake shore. A shot reverberated in April’s ears as the top of the tree ripped free, crashing to the ground. The cheers from the crowd grew louder. “Ladies and gentleman, welcome to Silton Pass, Oregon. I, Harvey B. Rawlings, proudly launch the most spectacular timber carnival in the history of mankind!” he hollered into the microphone. People whistled and stomped their feet. “How’d he do that?” April asked Donna. As a souped-up chain saw began to whine, scattering wood splinters in every direction, April turned her attention to the opening event, the hot power saw competition, and settled back to watch. The hour passed quickly. As one contest gave way to the next, April’s fascination mounted. Men with ropes secured around their waists and wearing high-top boots ascended trees that were stripped of branches. In minutes they were cutting through the tops with hand saws. Others chopped at standing log blocks until the first severed pieces toppled down. When it was time for the ax throwing contest, Mr. Rawlings told the audience it was often considered the logger’s oldest sport. The sun radiated down, warming April’s shoulders and back. From somewhere behind the bleachers, the aroma of buttery popcorn and barbecued beef wafted on a gentle breeze. The rainbow of sights, sounds, and delicious aromas everywhere about her made April feel relaxed and carefree. Next came the men’s log-rolling event on the lake. As the first two contestants emerged onto the dock, April’s jaw dropped. She strained to see better, certain one of them was the young blond logger she’d talked to on North Creek Hill. He ambled closer. Yes, that had to be him, she decided. There was no mistaking it. Today his face and arms were more deeply tanned, contrasting his navy blue tank top and white shorts as he strode, sure-footed, to the edge of the dock. His well-formed muscles were taut and glistening. April laughed. “No, I suppose not.” She struggled to maintain an indifferent air. If she was showing any outward signs of her own awareness of the guy’s masculine good looks, she must make certain not to let it show. No point giving her overly eager friend reason for any false hope. Matt, April thought. Matt Spencer. Carefully she turned the name over in her mind, deciding it had a nice down-to-earth ring. Yes, it matched him well. Earthy and rugged in a laid-back, chivalrous sort of way—despite the maddening fact he’d called her a bunny hugger. At the memory, she felt the heat rise to her face. Funny that it still bothered her so. After all the razzing she endured from the guys at the fire station, she should be accustomed to it by now. Precariously Matt balanced himself on the floating log a few feet from his opponent, a well-built man with a bushy red beard. The water below them rippled, catching glimmers of noon-day sunlight. The two men started running in place on top of the log, whirling it faster and faster. April stared, transfixed. After what seemed an eternity, the bearded man lunged into the lake, sending up a fountain of white spray. The audience roared with laughter, clapping their hands. Soon the contestants were at it again. April held her breath. Two, three, four more minutes ticked by. Suddenly it appeared Matt was losing his balance. He threw his hands out to his side in an attempt to regain it, but it was too late. In a flash, he hit the water. More cheers and cat-calls exploded all about. In no time the two men were back on the log, spinning it again like a toy top. “One minute to go!” the emcee bellowed into the speaker. A frown crossed Matt’s face as he began to falter. Then he quickly righted himself, teetering once again on the slippery wet log before he geared back into motion. The seconds seemed to stand still. The bearded man wavered, arms flailing, and plunged into the water. The spectators stamped their feet and yelled. Matt let out a whoop, jumped into the water, and swam to the dock. When he emerged over the side, he flashed a grin, then raised his hands in a sign of victory while the crowd continued to cheer. He looked in her direction, his gaze no longer sweeping the crowd. Their eyes locked. His grin widened. For an immeasurable moment, he just kept staring at her as if the others in the bleachers no longer existed. 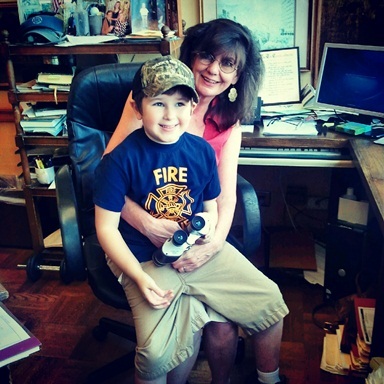 Books We Love author Margaret Tanner is the first of the writers who have agreed to sit on my Casting Couch in 2013. As she mostly writes about the tough, hard men who lived in frontier Australia, it is interesting to discover how she 'finds' them, and what she expects them to endure. Margaret's take on working with her characters is as challenging as the characters themselves, and it is fascinating to discover that she prefers tortured heroes with dark secrets. Happy New Year and thank you for agreeing to sit on the Casting Couch Margaret. It’s always a treat to talk to a multi-published author and discover how she casts her characters so, assuming you are sitting comfortably, let’s begin. The secondary characters by far. I love a villain, the blacker the better. My heroes are always tortured men with dark secrets. I'd love to know the psychology behind that choice Margaret! Do these tortured characters start the story for you or do you work through the plot first and then cast the characters later? I usually have a basic plot first, then the characters grab me by the throat and won’t let go until I write their story. Wow, they certainly are strong and tortured men aren't they! Can you give an example from a published story? 'Savage Possession' is a good example. Two feuding families. I thought of what would happen if a man got the chance to take his revenge against the daughter (in this case the granddaughter) of his mortal enemy, only to discover that the hatred he had carried around in his heart for years was based on a lie. That sounds like a very insightful story and one I want to read. When deciding how your characters should look, do pictures inspire you or do you think of someone you know? Or perhaps you just rely on an active imagination? You really do like them to be tough don't you! Do you have a system for developing their character traits? I know some people use Tarot or Astrology while others produce detailed life histories. There are also writers who allow their characters to develop as they write. What's your method? I don’t do any of the things you mention. I somehow get an image in my mind and I work with that. If I close my eyes I can actually see my characters in the flesh, so to speak. Can their goals usually be summed up in a word or two, or are they multi-layered? Do they change as you write the book? Could you give some examples? I couldn’t let my main characters get away with just one goal as it would be too easy for them. So, I guess I would have to say they are multi-layered. Most of my heroes are tough, hard men. As I write historical romance set in frontier Australia, they have to be tough to tame a rugged, hostile land. It is the heroine’s influence that eventually softens them. I'm so relieved to see a little softness creeping in at last! How do you discover your character’s specific goals? Are they based on back story or do other elements influence their motives? I think they are mostly based on the back story, but the environment in which they live plays a big part as well. Frontier Australia, like frontier America, wasn’t for weaklings. Only the strong survived. Times were certainly different then, as shown by the characters you write about, so, last but not least, do you like them? Are they people you would want to spend time with? I love all my main characters. I wouldn’t be able to write them if I didn’t. They take over my mind, become my friends until their story is done, then they let go of me and ride off into the sunset so I can start on a new story with new characters. That is so fascinating Margaret. As someone who regularly visits Sydney and enjoys the wonderful lifestyle of modern-day Australians, I definitely need to search out of some of those rugged and fearless men you write about if only to remind myself how hard life used to be on the frontier all those years ago. Margaret Tanner is an award winning multi-published Australian author. She loves delving into the pages of history as she carries out research for her historical romance novels, and she prides herself on being historically correct. No book is too old or tattered for her to trawl through, no museum too dusty. Many of her novels have been inspired by true events, with one being written around the hardships and triumphs of her pioneering ancestors in frontier Australia. She once spent a couple of hours in an old goal cell so she could feel the chilling cold and fear. Margaret, who can be seen here standing beside a historical statue to promote the fact that she writes historical fiction, won the 2007 Author of the Year Award at AussieAuthors.com. She also won it for a 2nd time in 2010. In addition, Frontier Wife won the 2010 Reader's Favorite Historical Romance Award and Wild Oats was a finalist in the 2010 EPIC awards for best historical romance. Check out the latest from Books We Love: Featured Authors for each month! We'll be featuring two authors and one Spice author each month on our website and blogs. On Jan. 15th we'll announce the next mainstream author. Watch our blogs for interviews and hot excerpts from these talented authors. Happy New Year from Books We Love!